2015 new construction stunning 4 bedrooms 2.5 bathrooms penthouse offers high ceilings with crown moldings, wide open living & dining area perfect for entertaining with a private deck off the kitchen. Open chef’s kitchen with granite counter tops, Thermador stainless steel appliances, gas cooking, kitchen island and designer cabinets. The top floor consists of three great size bedrooms and two full bathrooms. This unit has roof rights, central air, oak hardwood floors throughout, tankless hot water heater, in-unit LG washer and dryer. 678 Mass Ave is located steps away to South End’s best restaurants, the newly proposed 150 rooms Alexandra hotel and all major highways. Two parking spaces side by side are included in the price. 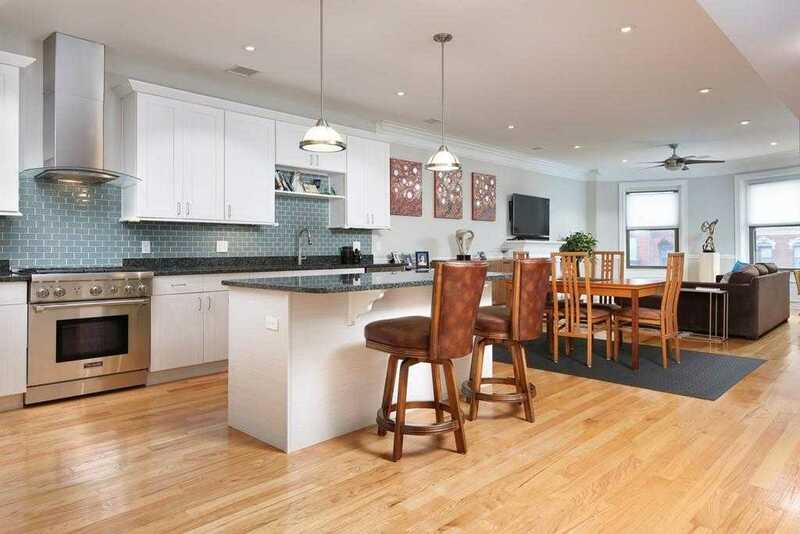 Please, send me more information on this property: MLS# 72450077 – $1,550,000 – 678 Massachusetts Avenue Unit 4, Boston, MA 02118. I would like to schedule a showing appointment for this property: MLS# 72450077 – $1,550,000 – 678 Massachusetts Avenue Unit 4, Boston, MA 02118.